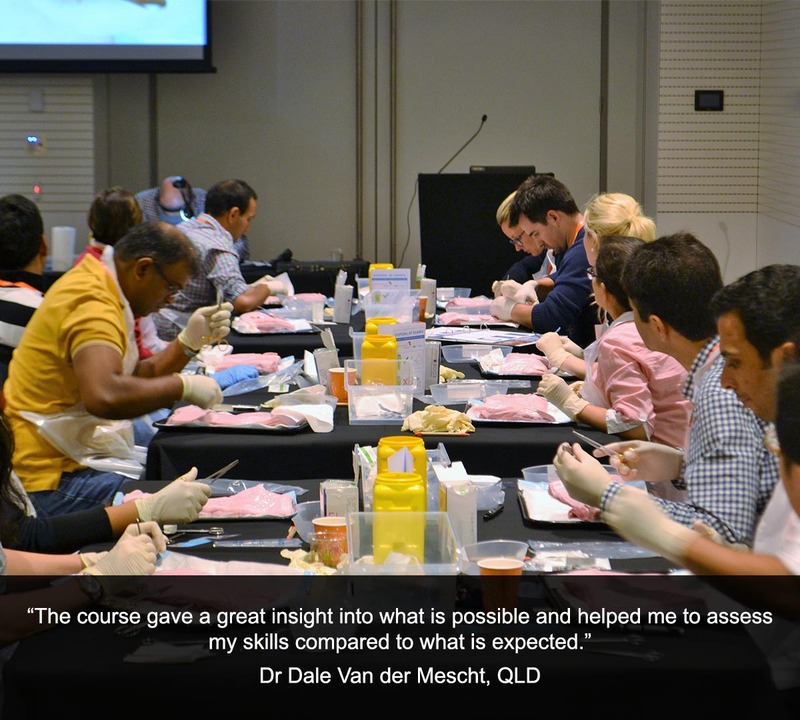 This course is the first part of the three-part Professional Diploma of Skin Cancer Surgery. The education pathway is Professional Certificate of Skin Cancer Surgery, Advanced Certificate of Skin Cancer Surgery and Professional Diploma of Skin Cancer Surgery. 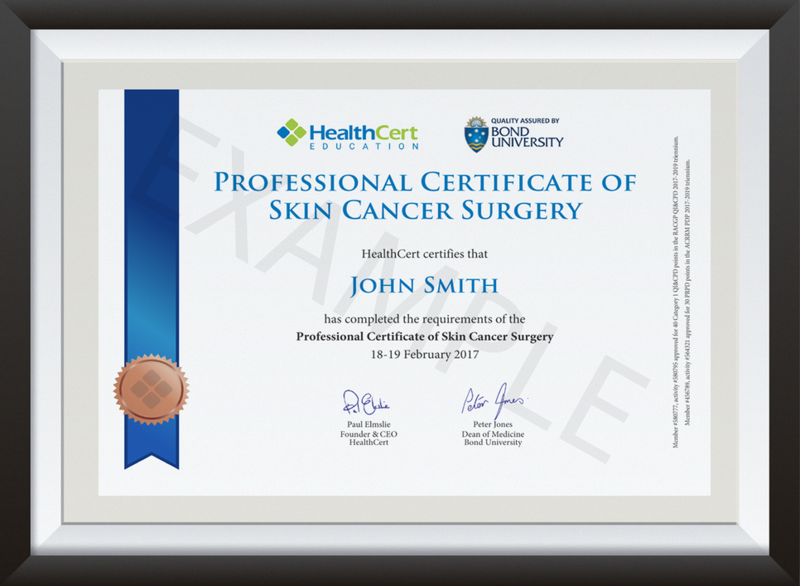 The Professional Certificate of Skin Cancer Surgery is ideal for medical professionals wishing to learn important surgical techniques in the management of skin cancer to provide effective treatments to patients in the primary care setting, without the need for referral to specialists. 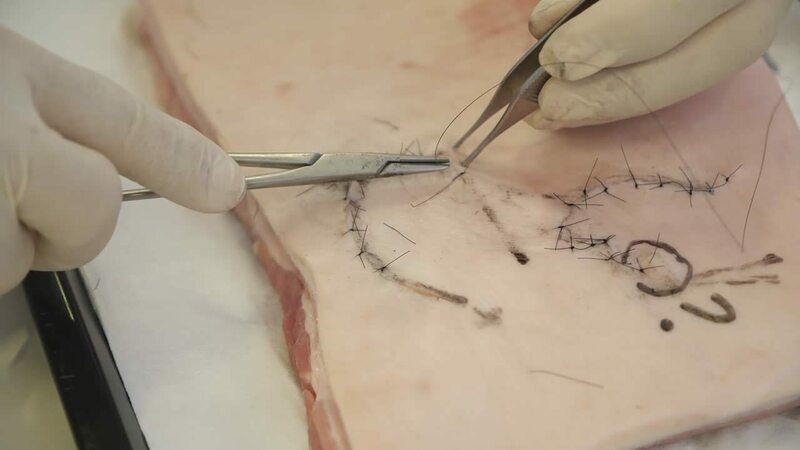 Participants can expect an interactive, hands-on program with immediate applicability and the confidence to surgically treat skin lesions in their practice. The course is suitable for general practitioners and International Medical Graduates. It assumes no prior knowledge or training in the field, although HealthCert recommends that participants have some exposure to skin cancer surgery before enrolling in this course. 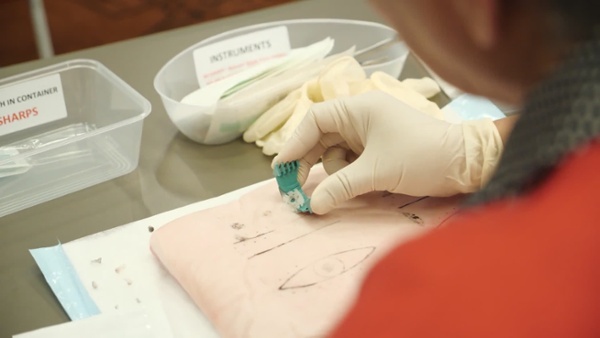 This practical-based course is led by experienced skin cancer doctors and university lecturers who are joined by a team of surgical assistants. 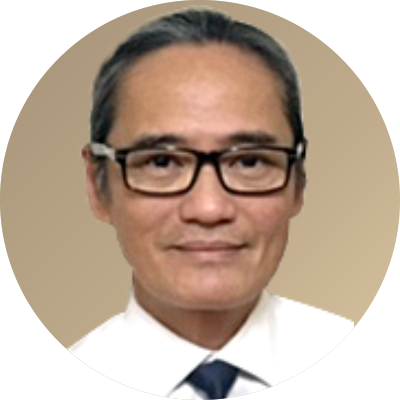 Dr Francis Tan graduated from The University of New South Wales in 1986. 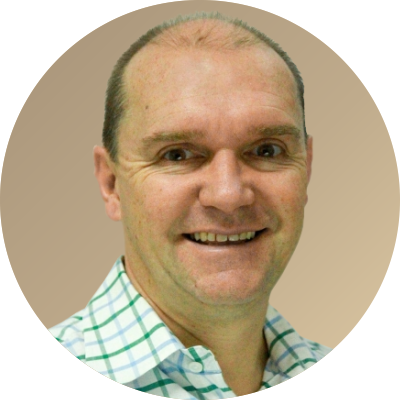 He worked in a variety of general practice surgeries throughout Australia, including clinics in Sydney, Tweed Heads, the Gold Coast, Brisbane and Cairns. He now practises at the Coorparoo Skin Cancer Centre in Brisbane. 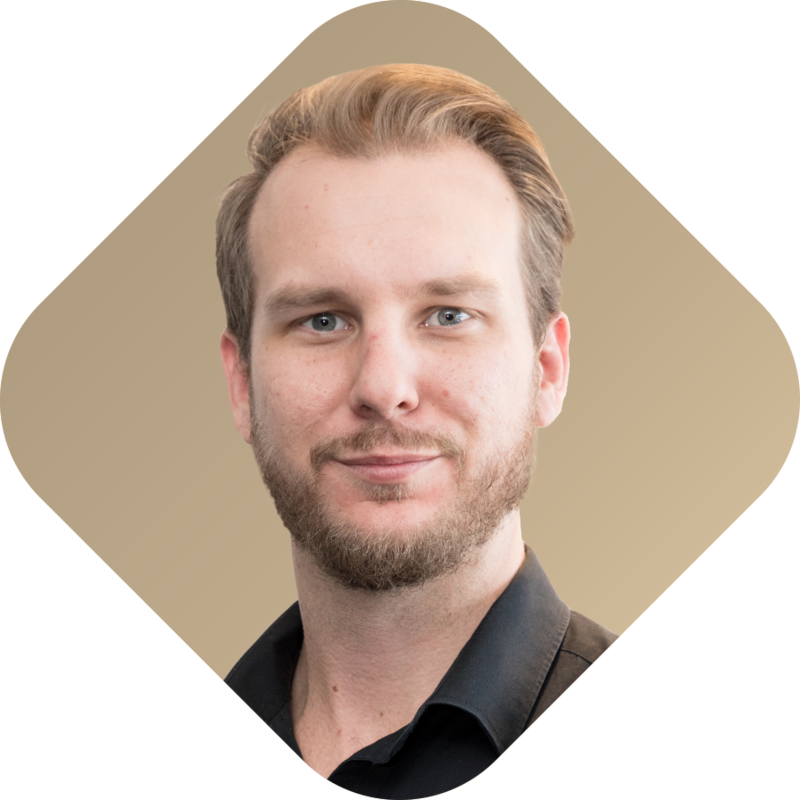 Francis obtained a Masters of Medicine from The University of Queensland in 2014 and holds an impressive portfolio of university-certified Professional Diplomas in Skin Cancer Medicine and related fields. 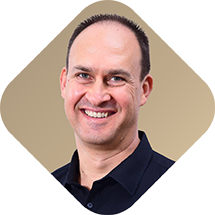 He is particularly interested in using dermatoscopy to detect melanoma in situ and performing skin cancer surgery to the best of his ability for the benefit of his patients. The Professional Certificate of Skin Cancer Surgery is designed as a face-to-face course that is supported by online materials. There are eight units in a HealthCert Professional Certificate program. Course learning materials will be available for a minimum of 15 weeks. There will be pre-reading activities, an intensive weekend program with expert demonstrations and practical hands-on activities, online materials and further readings, individual assessment tasks and finally two online examinations. In order to meet the requirements of professional and academic learning, the course assessment includes a professional requirement and two online examinations. 88 knowledge questions based on a scenario of a medical practitioner undertaking special interest training. The knowledge-based examination is worth 50 per cent and the application-based examination is worth 50 per cent. The overall pass mark is 80 per cent. It is therefore not possible to pass this course on knowledge alone. Knowledge must be successfully applied to patient cases in order to pass the course. Two-day practical course including catering. Additional online training in dermoscopy. Upon successful completion of the course requirements, course participants will receive the Professional Certificate of Skin Cancer Surgery. 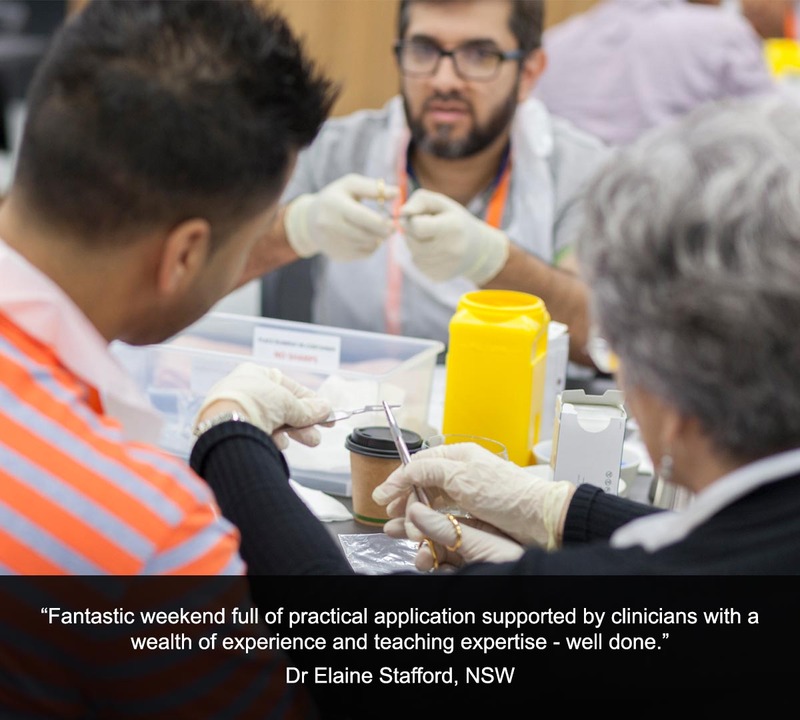 This course has been approved for two days of the Training Grant for Rural and Remote Procedural GPs Program (Procedural Grant Program). Is accredited by the Skin Cancer Institute (SCI) and may be used as part of an application for Membership or Fellowship. 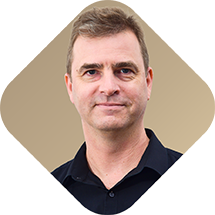 Has been collaboratively designed with, and is annually reviewed by, Professor David Wilkinson, Deputy Vice Chancellor at Macquarie University. Qualifies for a Skin Cancer Surgery Clinical Attachment in France at the University of Lyon. Qualifies for a Skin Cancer Surgery Clinical Attachment in Austria at the University of Vienna. This course is the first stage of the Professional Diploma pathway. The full pathway is Professional Certificate of Skin Cancer Surgery, Advanced Certificate of Skin Cancer Surgery, Professional Diploma of Skin Cancer Surgery. It is recommended that this qualification be used as part of an application for Membership or Fellowship with the Skin Cancer Institute. There are three modules in the Postgraduate Diploma. Medical professionals who successfully complete the HealthCert Professional Certificate of Skin Cancer Surgery, Advanced Certificate of Skin Cancer Surgery and Professional Diploma of Skin Cancer Surgery will be eligible to apply for Accreditation of Prior Certified Learning (APCL) for module 3. Upcoming intake dates are 6 February 2019 and 24 September 2019. For more information, please click here. Clinical Attachments are optional and available on a 1:1 or small group basis. These provide the opportunity to observe skin cancer surgery and ask questions of the expert performing the procedures. In addition to clinical attachments in Australia, university teaching hospitals at the University of Lyon and the University of Vienna are available for clinical attachments. HealthCert certificates and university statements are awarded for participating in clinical attachments. The dominant areas of study covered by The Université Claude Bernard Lyon 1 are science and medicine. Attached to the university are the "Hospices civils de Lyon" including the "Centre Hospitalier Lyon Sud", which is the largest teaching hospital in the Rhône-Alpes region and second largest in France. Out of the 2630 faculty 700 are also medical practitioners at local teaching hospitals. The Medical University of Vienna is the largest medical organisation in Austria, as well as one of the top-level research institutions in Europe and provides Europe's largest hospital, the Vienna General Hospital, with all of its medical staff. The Vienna General Hospital has about 100,000 patients treated as inpatients and 605,000 treated as outpatients each year. I found the skin cancer workshop to be very informative and I have changed my day-to-day practice as a result. It was extremely well run and the content and presenters were of a consistently high calibre. I have no hesitation in recommending this workshop to any of my colleagues. Every GP should attend this course to know the basics of skin cancer surgery. It was a very important platform for learning - everything was well thought out and well organised. Interactive and hands-on. I feel much more confident with more difficult excisions. Anyone interested in skin cancer medicine would benefit from solidifying the basics and learning the principles of more advanced flaps that were taught. Fun learning and very practical. 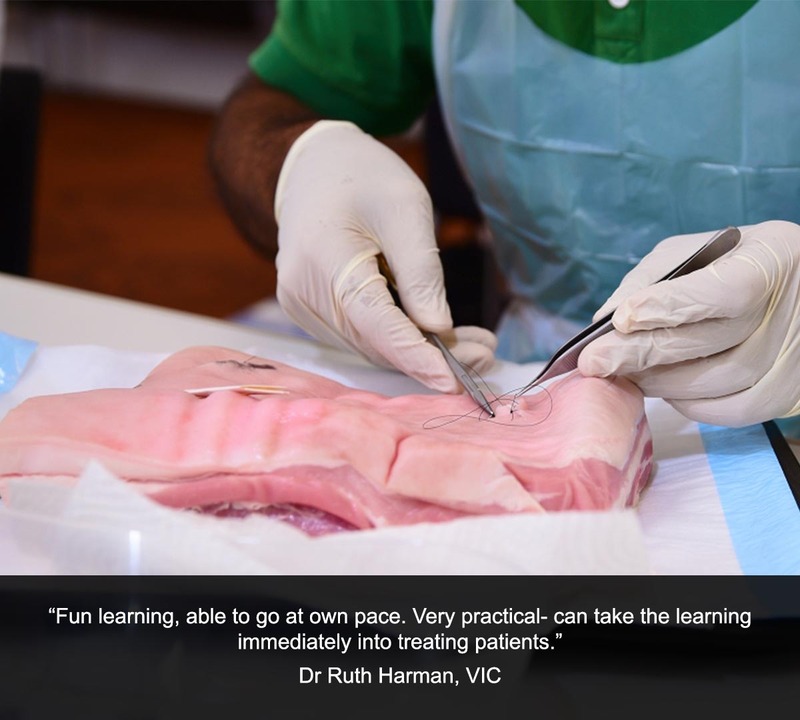 I was able to go at my own pace and can take the learning immediately into treating patients. 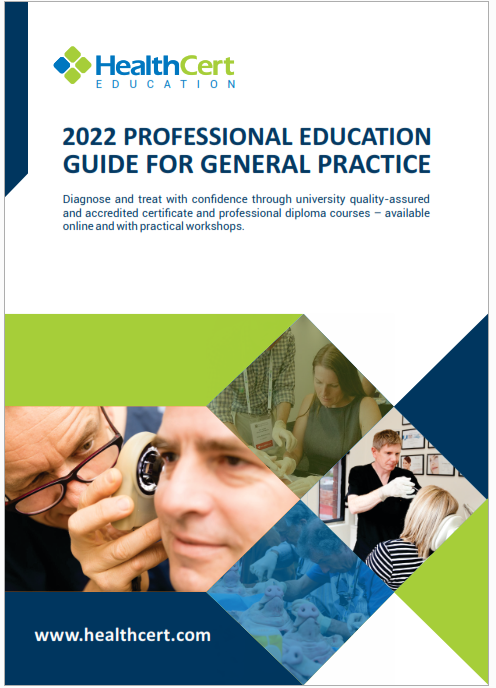 A great course to enhance skin cancer management from a GP perspective. I've learnt more this weekend and consolidated my experience with new skills which I hope will help improve my patient care to the next level. I gained a lot of practical experience and learnt more about the business aspect of skin cancer management. This is a brilliant course - enjoyable and extremely well organised with good speakers and lectures, and friendly and efficient staff. This course added immensely to my skin cancer surgery knowledge. This has been another fantastic experience with the HealthCert team and their presenters on my journey to being a GP with a specialist interest in skin cancer medicine and surgery. The overall experience has been rewarding. The speakers kept it interactive and exciting. I hope to incorporate the knowledge into my daily practice. This course is absolutely what I need to take my practice forward. Mixed theory and practical components seamlessly. It was great! 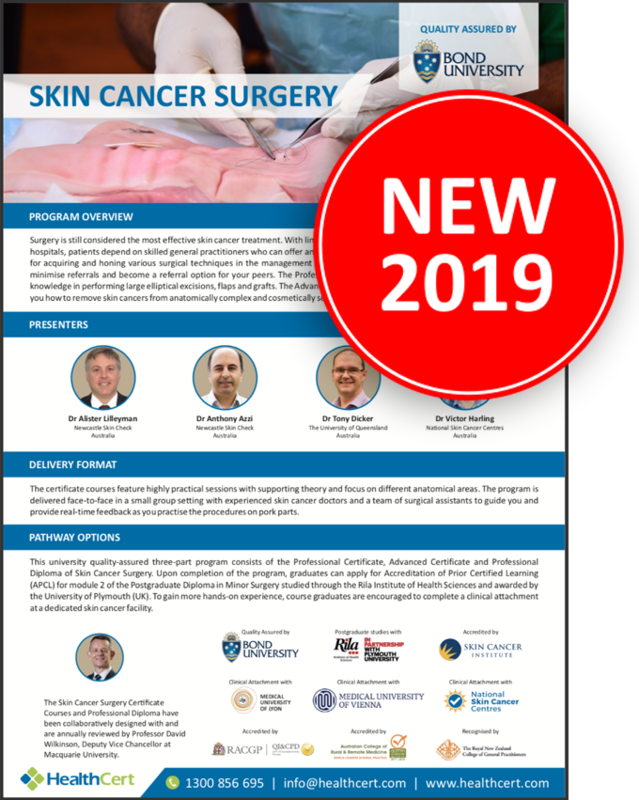 Comprehensive, concise and highly relevant course content in skin cancer surgery for a primary care level, with sufficient time for hands-on practice. This course is very practical and relevant to my practice. If you do any skin surgery (even if you have no intention of doing flaps and grafts), there is so much useful knowledge to acquire. 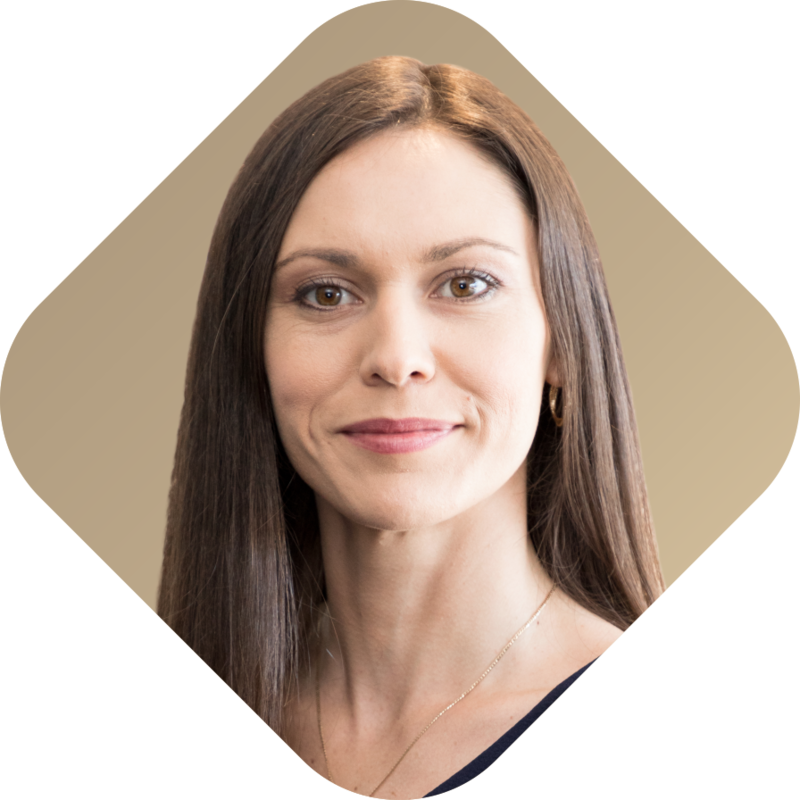 The Professional Certificate of Skin Cancer Surgery has a very strong practical focus directed at general practice level. If you are serious about enhancing your practical skills, this course is top. An excellent, relevant and professional course that is great value and teaches very practical knowledge. The Professional Certificate of Skin Cancer Surgery is a very good course to increase confidence in skin cancer medicine, dermoscopy and simple ellipses. 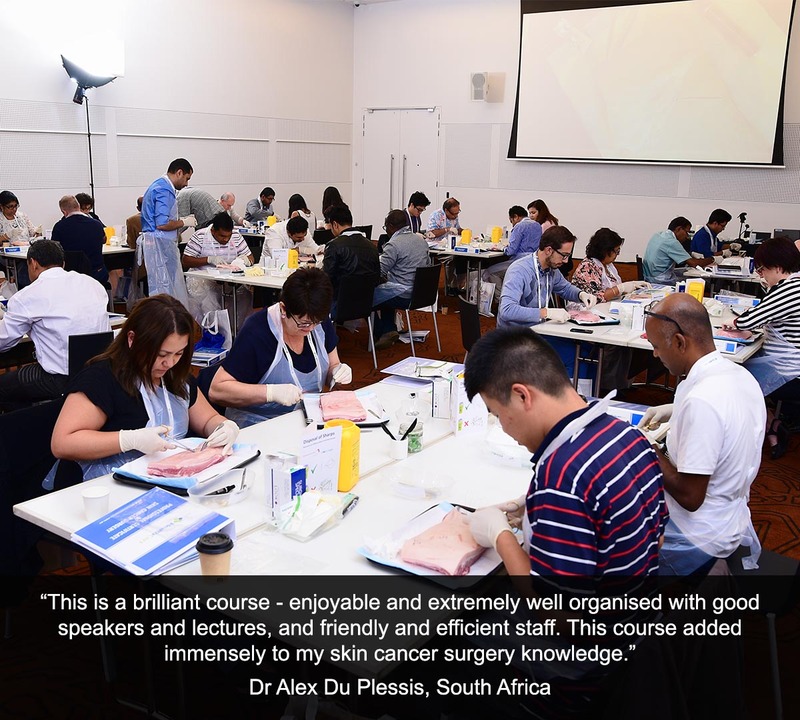 The Professional Certificate of Skin Cancer Surgery course was clinically useful and I highly recommend it for those who want to do more skin surgery and need to upskill. I would highly recommend this course highly for any GP to get confidence in skin cancer surgery. 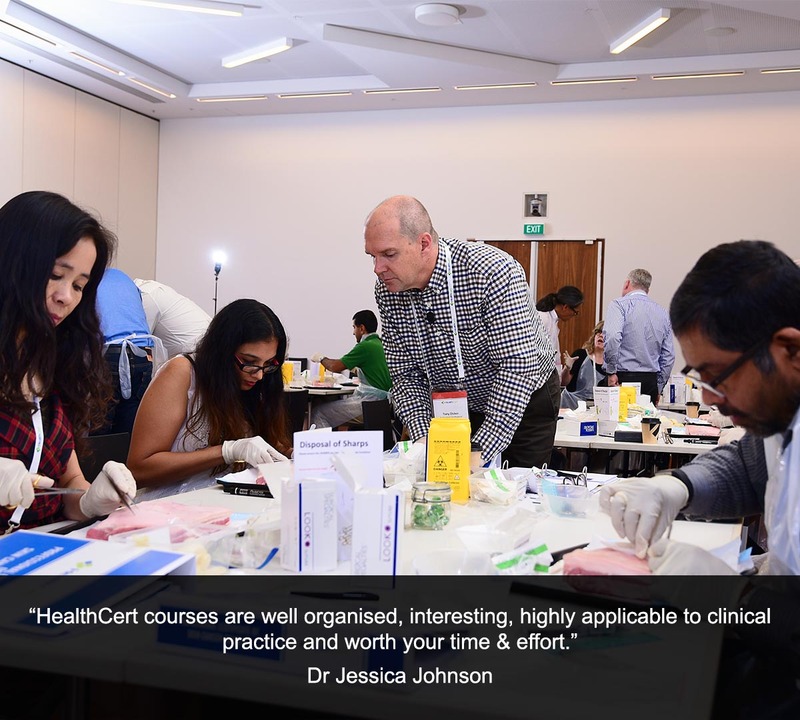 I was very impressed by the clinical knowledge, instruments and equipment available to make this course a success. It was very practical and helpful. This is a well organised, concise, efficient, participant-focused and very practical course with excellent presenters. 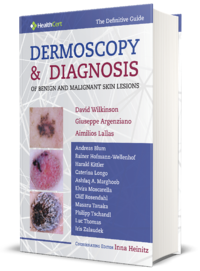 Based on the Professional Diploma of Dermoscopy developed in collaboration with the International Dermoscopy Society (IDS), this "Dermoscopy Bible" features real patient case studies, thousands of illustrations and practical advice on skin cancer diagnosis and treatment by the 14 most influential, global pioneers in dermoscopy.